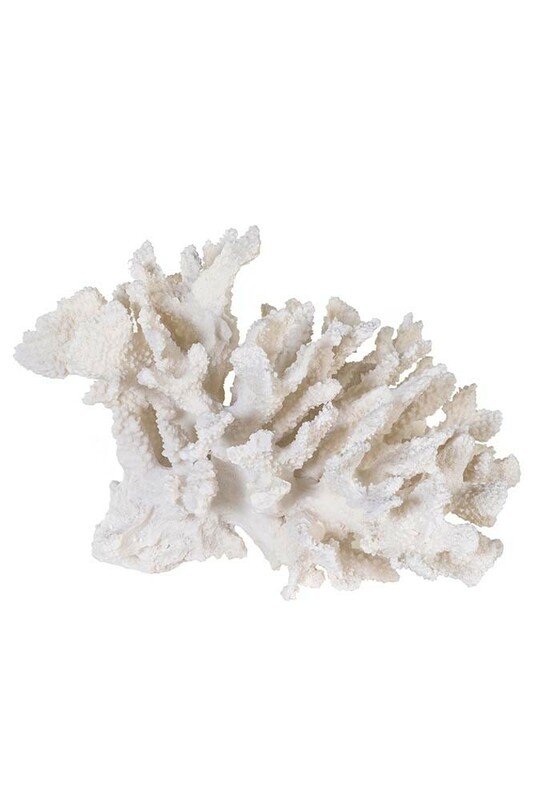 Celebrating the beauty of coral without damaging the natural environment, the Faux Pure White Coral Ornament is a wonderful addition to serene and stylish homes. Measuring height 17cm x width 23cm, this faux coral is rich in detail and incredibly realistic. 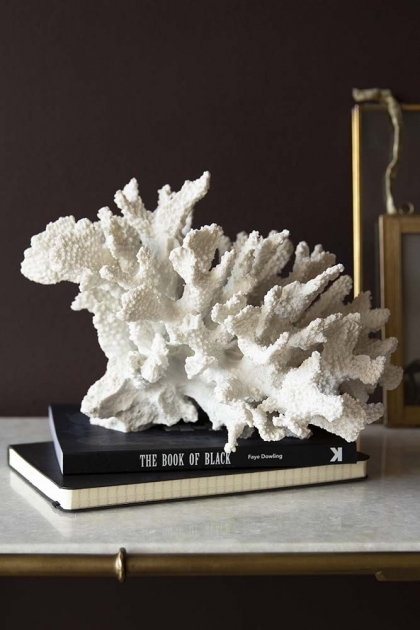 As firm believers that corals one and only place is in the ocean, Jane and Lucy were thrilled to discover this beautiful and lifelike, faux coral alternative. 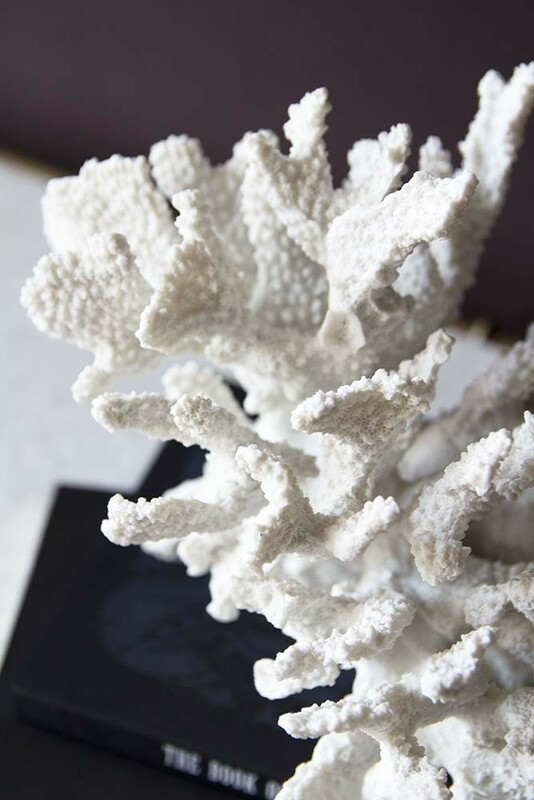 Created in a pure white colour palette with subtle variations in tone, the decorative fake coral explores amazing attention to detail and takes inspiration directly from the extraordinary world under our oceans. A stylist’s dream, the faux coral ornament introduces effortless elegance to any décor; creating a decorative feature with vibes of total tranquillity. Perfect for dark earthy interiors or light and bright schemes, the faux coral decoration in pure white brings natural texture to your home. Place the coral in a display cabinet alongside antique glassware, style on top of your favourite design books or include on bathroom shelving alongside little luxuries to add style to your everyday routine.